Find what they are, how they differ, and how they effect your credit. What is the Difference Between a Secured Debt and an Unsecured Debt? When you apply for a loan, a bank or finance company will take many factors into consideration: your income, job stability, credit, etc. Since they are a business trying to maximize the profit that they make, they are often going to look for ways to reduce their risk. One way that they can do this with a loan is to require that you pledge something of value as collateral for the loan – meaning if you don’t fully repay the loan, they can take the asset and sell it in order to pay off the outstanding loan balance. This essentially “secures” the loan for them since your valuable asset is providing "security" that the loan will be repaid. Common types of collateral for loans are cars, trucks, motorcycles, boats, RVs, and homes. With large loans, banks and finances companies will almost always insist that they be “secured” by an asset like this. Very large loans that are secured by real estate are typically called mortgages. For a small loan, a bank or finance company may consider you to be a good enough risk that they don’t require collateral (security). Credit cards, lines of credit, and overdrafts often work like this. 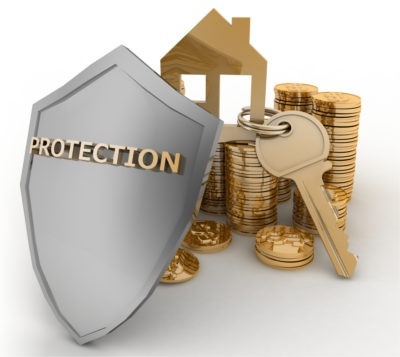 They are often unsecured – meaning they don’t require you to pledge anything as security for this credit product (these are all basically just revolving loans that you pay off and use again on a reoccurring basis). Student loans are also an unsecured debt since you don’t pledge anything as security for it. You simply promise to repay it at a future date – presumably after you’ve finished your education. A debt consolidation loan may or may not be secured depending on the amount and how comfortable your bank or finance company is with lending you the money. Banks will often want to secure a consolidation loan using a vehicle you own that doesn’t have any loans against it or your home if either of these options are available. They could also ask for a co-signer as well. Finance companies that do riskier loans than banks may use household items as collateral for a loan. However, this is only token security as these kinds of items can never be sold for anything close to what you paid for them. Both secured and unsecured debts that regularly report on your credit report are pretty much treated the same way. If you miss a payment or are late on a payment on either one, it will hurt your credit score. The only real noticeable difference is that they each can initially have a different effect your credit score. 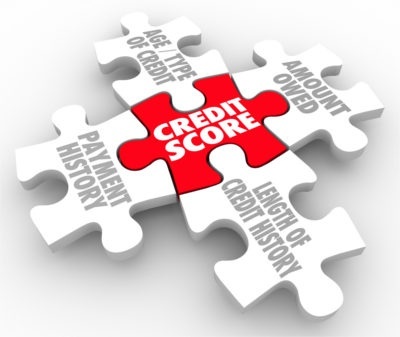 Part of your credit score is calculated by comparing your outstanding credit balances to your credit limits. So when you first get a secured loan (or any loan for that matter), your credit report will show that your outstanding balance is the same as your credit limit (the initial loan amount). While the loan balance will decline as it is paid down over time, initially it will possibly hurt your credit score a bit. Unsecured debts like credit cards and lines of credit won’t have this initial negative effect unless you immediately spend a large amount of the credit limit. Historically, more interest is usually charged on unsecured debts since they represent a higher risk (no asset is pledged as security or collateral for the debt). This is why credit cards, overdrafts, and payday loans all have high interest rates. Lines of credit and low interest rate credit cards have low interest rates, but extra care is taken to make sure the people who receive these are a much lower risk. Student loan interest rates also aren’t very high, but this is because the government is backing this program to help students. Unsecured loans always have higher interest rates than secured loans since loans that are secured by an asset represent a much lower risk to a bank or finance company. Home loans or mortgages represent the lowest risk to lenders, that’s why they have the lowest interest rates. If you are struggling or need help with any of your debts, we can help you look into all your options and see what might be able to help you. All you need to do is give us a call, and we'll help you make an appointment to speak with one of our Credit Counsellors. You can meet with a Credit Counsellor either in person at one of our offices or over the phone if that’s more convenient for you. They’ll help you put together a budget, explore all your options, and then help you create a plan to get out of debt and get your finances back on track as quickly as possible. Appointments with our Counsellors are always free, completely confidential, and non-judgmental. We’re simply here to help you. Give us a call at 1-855-232-4888.